Hate Story 2 gears up for next week release. 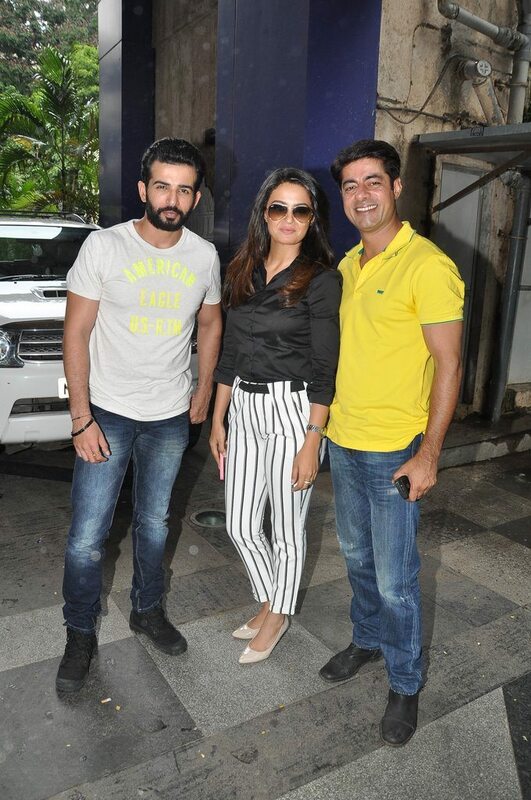 Bollywood actors Jay Bhanushali, Surveen Chawla and Sushant Singh are busy promoting their upcoming movie ‘Hate Story 2’. The actors were at a promotional event in Mumbai city on July 8, 2014. Surveen sported a chic look in a pair of black and white stripped pants with a tucked in black shirt, while Jay went for cool and casual in a jeans and tee look. The film is all set to be released on July 18, 2014, it is directed by Vivek Agnihotri and produced by Vikram Bhatt.